Sigh…summer is here. And with it, its languid air, its lazy breezes, and its feeling-hothothot sunshine. I look out the window at the sun shining gloriously on our mango tree and think: “Where have I been?” Where have I been indeed. Buried in piles of work, busily putting out the fires there. Rushing from one wedding-related errand to the next. Running around with C and trying to coax our new home into shape. I have not been able to cook or bake, or visit this blog (or any of yours) for almost a month. That I missed it, that is certain. But, as sometimes is the case, life stepped in to pull me this way and that, and all the energy I had left at the end of the day was only enough to place my weary little head on my pillow for some much craved for sleep. 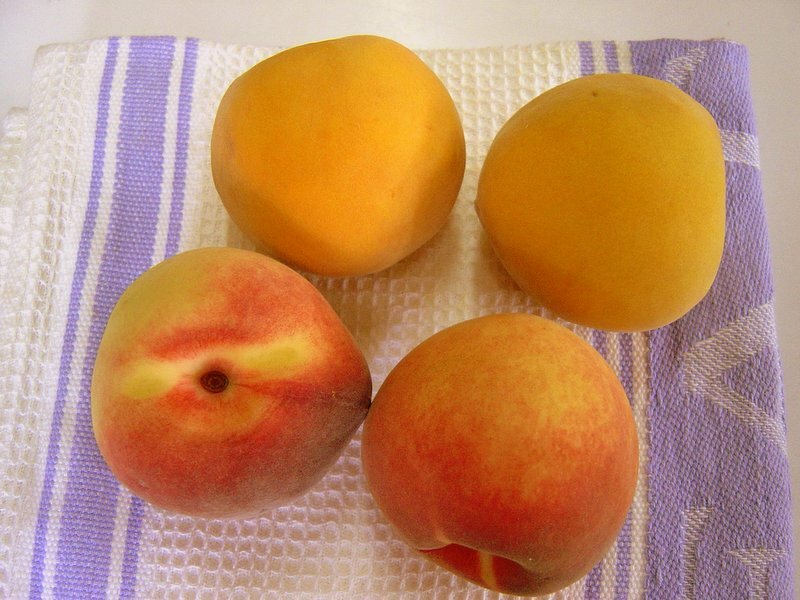 In the great big world of food blogging, had someone actually taken notice of my pitiable whining about fresh peaches? Not just taken notice, but also taken steps to rectify my plight? What a sweet surprise! And, mark my words, I hurried off to the aforementioned place as soon as I could to procure myself a share.